An ideal item for the beach this summer - helpful for getting changed and keeping the chill at bay. 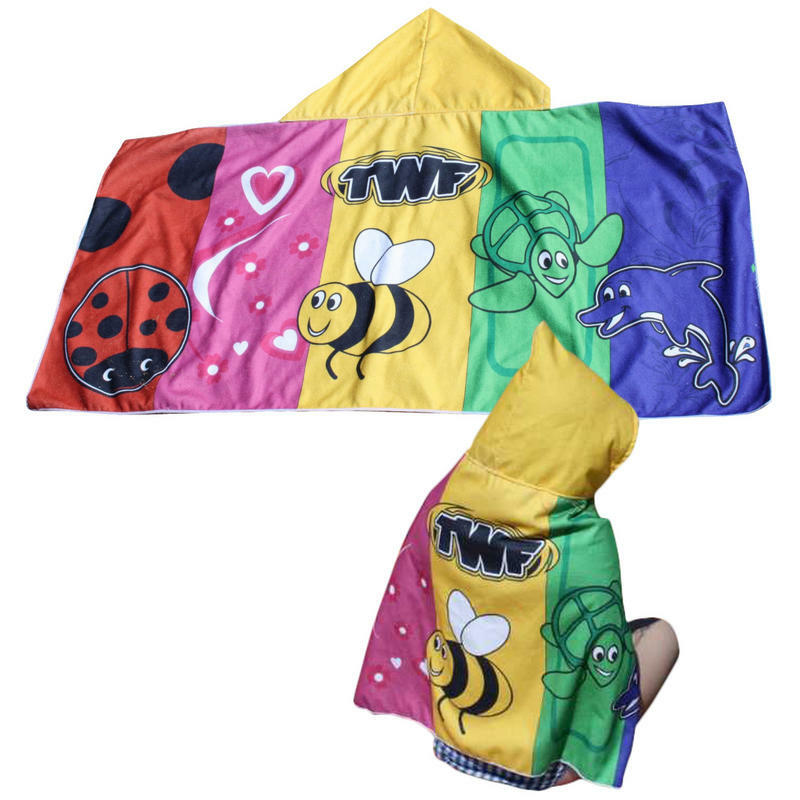 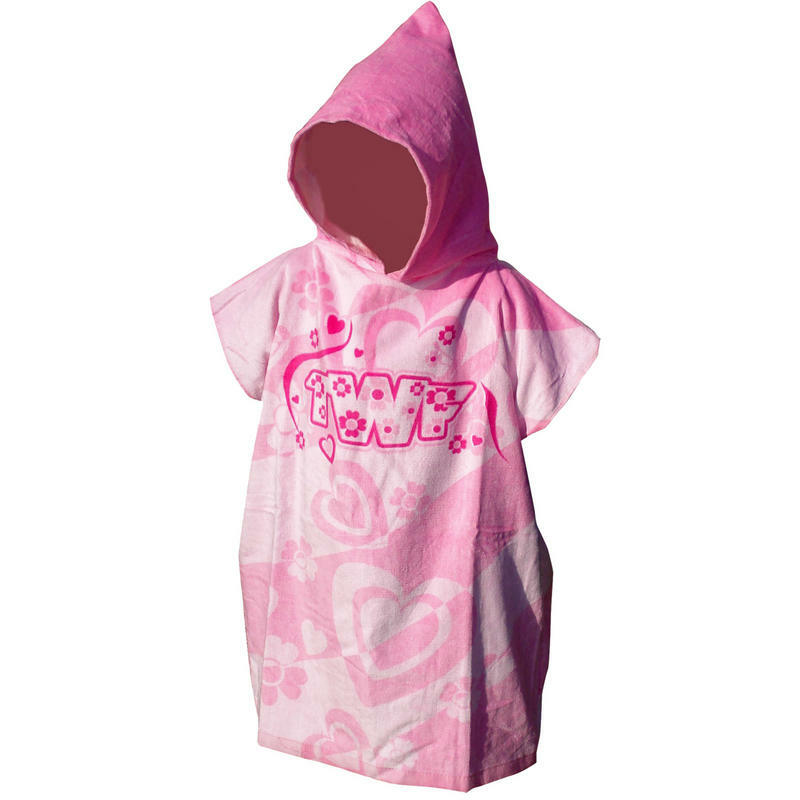 Suitable for Children up to the age of 7 of average build - Square Shape Poncho, 60cm acros the top and 70cm from top to bottom. 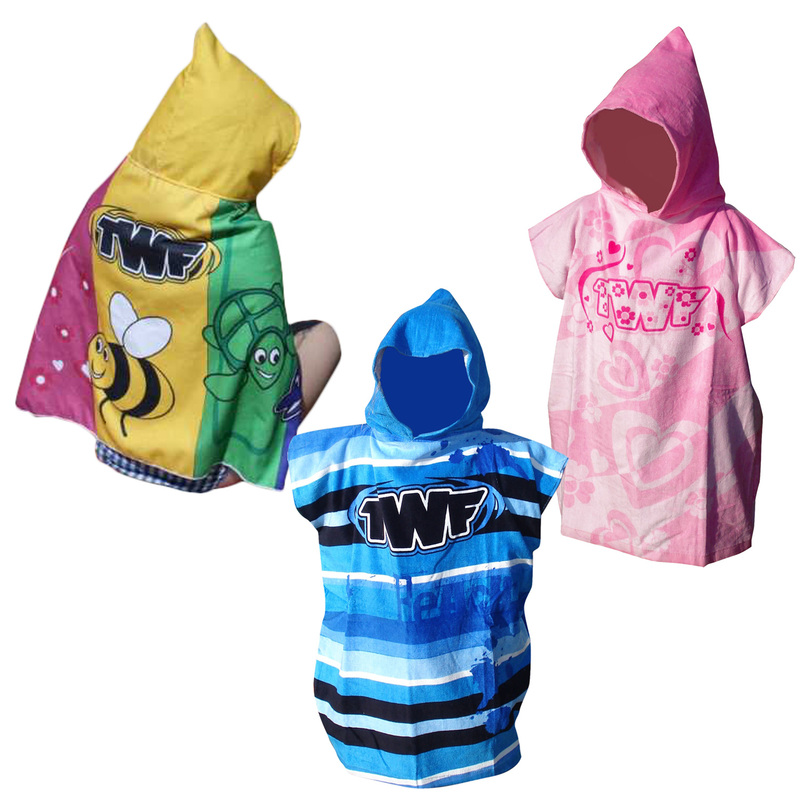 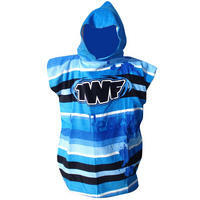 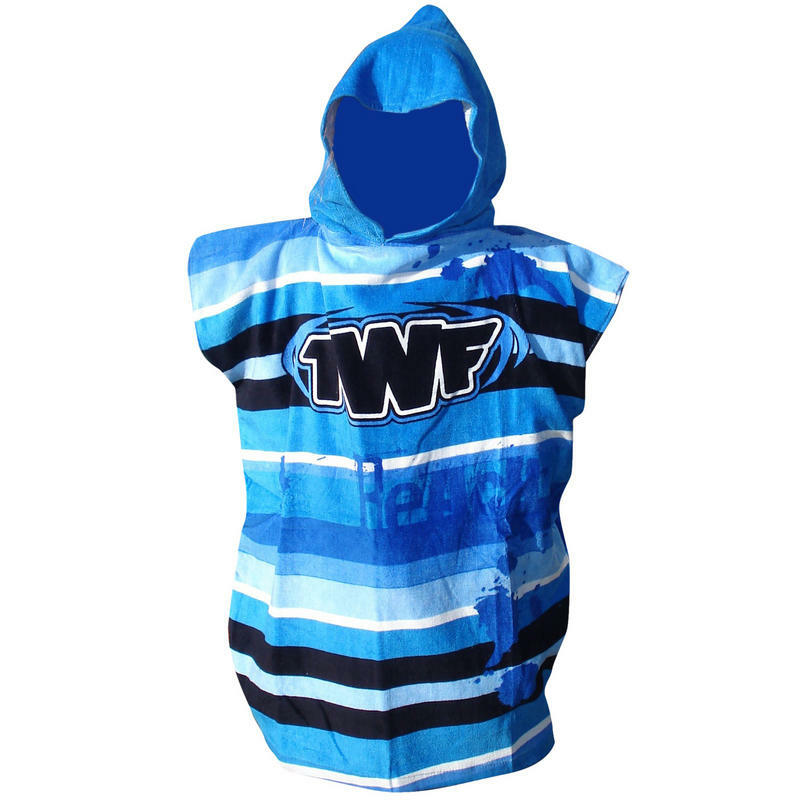 100% Cotton with Hood and Arm Holes - arm holes 25cm from top to bottom. Available in either a Blue or Pink Design.